The weekend’s FIA prizegiving gala marked the official end of the 2018 racing season, and with it the formal crowning of Mercedes as the Formula One constructors world champion for the fifth year in succession. But the Silver Arrows didn’t have things all its own way this year. Here’s how F1’s 10 teams fared this season. The history books will record 2018 as the first season Mercedes’s reign was truly challenged — but they will likewise remember that Mercedes emphatically rose to the occasion. The German marque was pushed by Ferrari to the midseason break, but a cool analysis of its patchy form led to an irresistible development push that won it six of the last nine races, blowing the Scuderia out of the water. Teamwork, built on years of trust, was the secret, and it has made Mercedes almost unassailable. Special mention must go to Lewis Hamilton, whose own self-improvement efforts helped raise the team with him. Ferrari had the package and the drivers, but unforced errors on both sides dropped the Scuderia masses of points and left it second best. 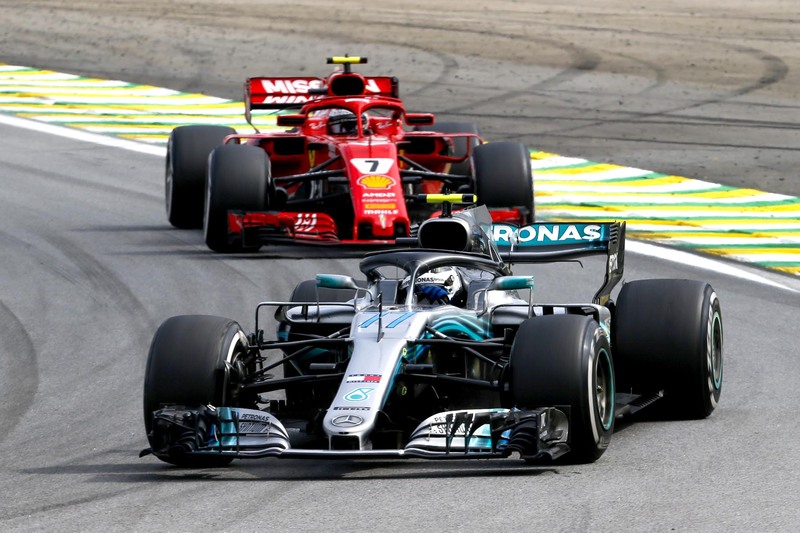 Crucial too was the development dead-end in September that left it unable to compete with the rampant Mercedes, allowing the German marque to punish it for failing to maximise its possession of the fastest car early in the season. But 2018 will be remembered most at Maranello for the sudden loss of chairman Sergio Marchionne. Marchionne was a protagonist in Ferrari’s modern rejuvenation to title-contending form, and the lack of his guiding hand has been keenly felt. Red Bull Racing remained a distant third in the standings and an opportunistic winner this season, and though the team will fairly point to its class-leading chassis as evidence it remains sharp, blaming the underpowered Renault engine for the rest is overly simplistic — for example, its woeful reliability record, featuring more retirements than any other team, spoke to problems not solely borne of the French engine builder. A change to Honda power next season will reveal whether these issues are systemic to its car design — and whether the team has learnt anything from its damaging year mercilessly berating Renault. Renault rose from sixth in 2017 to a commendable fourth with more than twice the points in 2018, but Enstone felt dissatisfied nonetheless — it had been pushed hard by Haas and Force India and remained far behind the frontrunners. The French team was undoubtedly out-developed, evidenced by its declining points hauls through the year. Its struggles were significant to prompt a late-season internal review to refine processes. Ultimately the fourth-place goal was achieved, but it wasn’t as emphatic as had perhaps been hoped. An all-new 2019 power unit will carry the hopes of strong forward momentum. A candidate for most improved and most wasteful, Haas had the car to finish fourth in the standings but for a litany of operational and driving errors, in particular by Romain Grosjean, that left it the laughing stock of the grid early in the year. But the American team pulled itself together sufficient to execute a rise from eighth in the 2017 standings to fifth this year with almost exactly twice the points, an impressive achievement for the three-year-old squad won with a development rate that should have its midfield rivals worried for next year. The once-great McLaren promised podiums in its first season after ditching Honda but instead delivered what was the second-slowest car by the end of an embarrassing season that had it finish more than 350 points behind fellow Renault customer Red Bull Racing. Staff members were shed, with racing director Eric Boullier and chief technical officer Tim Goss the highest-profile losses in a swingeing restructure, and Fernando Alonso was sufficiently pessimistic that he quit F1 altogether. Hubris in the Honda years humbled McLaren in 2018, which will be remembered as day zero of a likely long rebuilding phase. Force India lost its pre-midseason break points after falling into administration; adding the two tallies together would’ve had it fifth in the standings just 11 points behind Renault, reinforcing its position as Formula One’s undisputed best bang-for-buck team. This result is made all the more impressive by the fact the team spent the first half of the season staving off creditors, and its results — just five single-car points finishes in the opening eight races — bear testament to this difficult fact. The 2018 season will mark the last of the Force India brand, though the new owners are yet to decide on an alternative moniker. Sauber scored just five points in 2017, finishing dead last in the standings, but this season it rose to eighth to beat Toro Rosso and Williams and rival Haas for the title of most improved team in 2018. Of course 39 of the team’s 48 points came from the impressive Ferrari-bound Charles Leclerc, but stable funding and a new technical structure masterminded by principal Frederic Vasseur and facilitated by Ferrari played a critical role in helping the team grow from its backmarker status to regular Q3 and top-10 contender by season’s end. Kimi Raikkonen’s two-year deal starting in 2019 says all you need to know about Sauber’s credibility. Toro Rosso’s season is best described as inconsistent, with midfield giant-killing performance at Monaco and Hungary back up by anonymous pointless races for much of the rest of the year. The Honda power unit was similarly difficult to read. Paddock consensus put it at around Renault’s level in terms of power output, but its reliability was questionable, with Pierre Gasly and Brendon Hartley burning through more power unit elements than anyone else this year by far. The team says they were tactical for development reasons — to a certain extent this is true, hitting the team’s results for the long-term benefit of Red Bull Racing — but significant doubts remain. With the possible exception of McLaren, no team was as underwhelming in 2018 as Williams, completing a devastating slide from third in the constructors standings just three years ago to a forgettable last today. The team’s season had many low points, but none perhaps as painful as qualifying for its home British Grand Prix, where catastrophic rear wing stalls sent both cars spinning out of Q1 and forcing both to start from the pit lane with new parts. There was little improvement thereafter, with the team struggling to come to terms with its ambitious aerodynamic concept and redirecting its efforts to 2019, when technical boss Paddy Lowe’s reputation will surely be on the line to turn Williams’s flagging fortunes around.